Elessa the Wood Elf is making her way to Warhammer: Chaosbane, as introduced in this new trailer. Warhammer: Chaosbane is a hack-and-slash title set in the Warhammer universe with a brand-new story rife with various different battles. It's also the first action-RPG to take place in the Warhammer Fantasy Battles world. 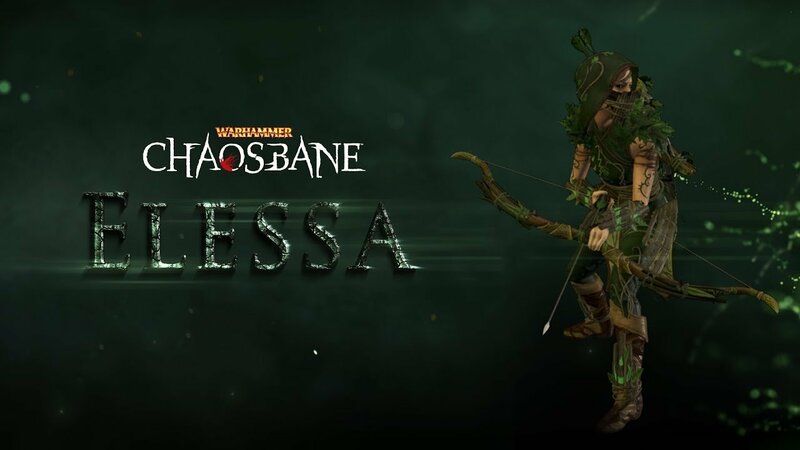 Elessa the Wood Elf is a new character coming to Warhammer: Chaosbane, and she's got a new trailer to show off what she's capable of. Let's just say that you won't want to mess with her. Elissa is a scout who served in Magnus's army with long-distance combat prowess and high mobility, as well as a selection of spells based on persistent damage. She can injure and poison large groups of enemies at once, and summon helpful forest spirits known as Dryads to assist her in battle. Even when it's down to the wire and she feels surrounded, her various gifts can help ensure she turns the tide of battle to her advantage either by slowing enemies down, dodging their onslaught entirely, or otherwise incapacitating those who wish to harm her. The game will feature 180 different powers and 4 different character classes to choose from, including an Empire soldier, a Dwarf who can take on heavy melee combat, a High Elf with ranged magic, or a Woof Elf with a bow and deadly traps. There are over 70 monsters to slice through as well, either solo or with up to 4 players in either local or online play. Warhammer: Chaosbane is coming to PlayStation 4, Xbox One, and PC on June 4, 2019 and beginning on May 31 for anyone with the Digital Deluxe or Magnus Edition of the game.